The sun was breaking through, yet it was also a foggy day on Islay in Machir Bay. 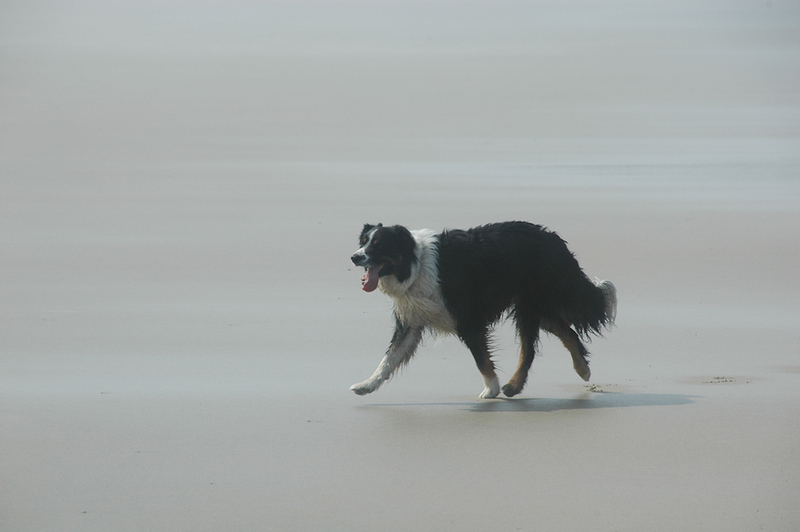 That didn’t bother this Border Collie who was happily playing on the beach. This entry was posted in Beaches, Landscape, Repost, Sunny Weather and tagged Border Collie, dog, Islay, Kilchoman, Machir Bay by Armin Grewe. Bookmark the permalink.